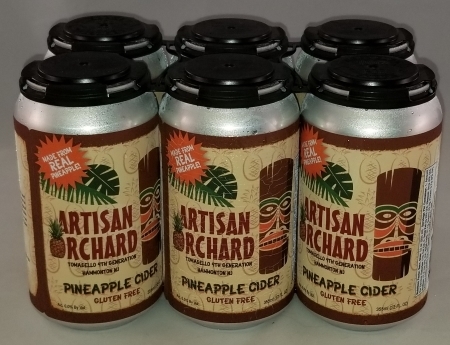 Artisan Orchard Pineapple Cider is blend of apple cider, pressed from hand selected premium apples and succulent tropical pineapple juice, fermented in small lots using a strain of yeast from Alsace. The resulting cider displays tropical pineapple aromatics with underlying zig zags of crisp apple. Upon drinking this luscious pairing, some have been known to say that it “sweeps them away to an island paradise.” We hope that you enjoy our Artisan Orchard Pineapple Cider with friends and family on whatever island oasis you choose! Sold Out ... stay thirsty!! !